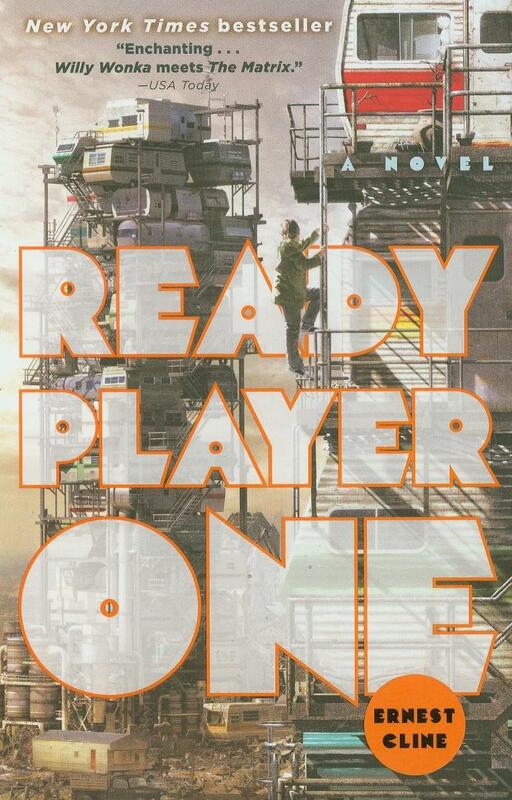 "Ernest Cline’s 'Ready Player One' tells the story of a teenage boy name Wade, whose grief-stricken life causes him to turn to an online world called OASIS." When I was first introduced to the book Ready Player One by my English teacher, I was only slightly interested in it because of its dystopian plot. I had always enjoyed a dystopian fiction book filled with action and intrigue, but it was not until I looked into summaries of the novel that I found out it was filled with 80s references and video game allusions, things I felt like I had little to no interest in. Although I admit the references to Pac-Man and game consoles like the Atari did not spark too much of my enthusiasm, I still picked up the book in hopes of a new, different novel, contrary to those I usually read. It sure was different from anything else I had ever read, and surprisingly, I loved it. Ernest Cline’s Ready Player One tells the story of a teenage boy name Wade, whose grief-stricken life causes him to turn to an online world called OASIS. In this online world, people from around the globe can log into a virtual reality, create avatars, and even attend school. The creator of this online world, a famous game-maker named James Halliday, leaves a very interesting plan in his will upon his death. In this will, he invites all members of OASIS to join in the hunt for an “egg,” and the first person to find such an egg will win his company, rights, and multi-billion dollar fortune. The desire for Halliday’s whopping fortune sets the world into a frenzy in search of the egg. Many of these hunters, nicknamed “gunters,” dedicate their lives to finding the egg, Wade being one of them. Many obstacles and a number of video-game references make up the characters’ search for Halliday’s egg, and tell the story of Wade’s experience throughout it. All in all, Ready Player One portrays a dystopian future while also brilliantly incorporating references to 1980s music, movies, books, and video games. The story is full of action, wit, and suspense, and in spite of my initial disinterest I am glad I read it. I am eager to see how the upcoming movie will turn out.